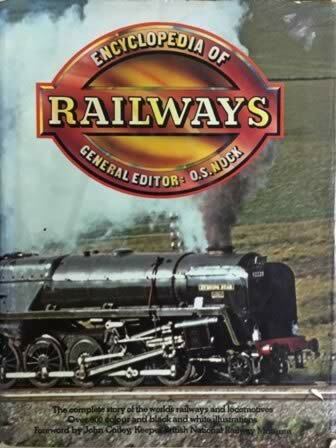 Encyclopedia Of Railways - The complete story of the world's railways and locomotives. This book contains over 900 colour and black and white illustrations, and contains a foreword by John Coiley, keeper, British National Railway Museum. This is a second hand book which was edited by O S Nock and was published by Octopus Books. Condition : Previously owned - Good condition, however the dust cover is slightly torn and worn.